TaekoPlan - De website van taekoplan! Find below downloads for TaekoPlan add-ons and the PDF manual. Full setup for TaekoPlan v3.01.0132 (updated 16/03/2019). You don't have to remove the previous install, just run the setup over the existing version. Finally the fix for the message that there is no update. Cache is now properly cleared before checking. So always latest file will be downloaded and not taken from cache. Latest version of the stand-alone accreditation module for TaekoPlan. Full setup for TaekoPlan Video Replay v5.2.0 (updated 02/02/2019). Latest setup for the new Caller.NET v1.5.7, suitable for inspection desk, final checkin, announcer and beamer. With adjustable screen output size. Can be used in screen duplicate as well as extended screen mode. Updated with background image visible if selected. Latest setup for the Weighin add-on for automated weighin connected to TaekoPlan. This latest update includes full support for random weighin. According to new rules for seniors no margin, otherwise margin can be set. Random weighin uses 5% margin. The scoreboard for use without electronics... Latest development are the tablets instead of adidas ESM's or the older BudoScore boxes which are not being sold anymore. The latest version of the scoreboard for use with adidas ESM's or tablets. - Fix: if you have more then 100 competitors in a category, the program crashed. Is solved. The latest APK to be used together with the BudoScore scoreboard. Fully configurable for all buttons. A license is required for this app to work. Latest update for the Poomsae tablet software for Android. The Caller as Android App. The first 4 upcoming matches are visible. You can select the court or let the App rotate through all the courts. Copy this to a local folder and point to it in the Settings. The following files may be necessary to install in case you use Windows 10 and want to import Excel files. It is due to the missing database engine in Windows 10. Might be required when XLS import using TaekoPlan in Windows 10 fails. 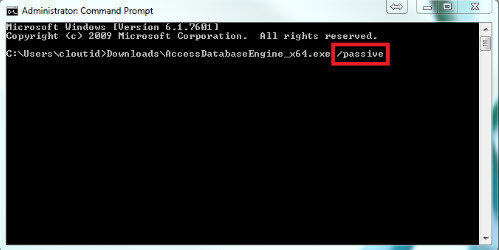 If the installation fails, run the EXE as shown in the screenshot. Open a CMD box and go to the file folder. This will run the file without error notifications and will be installed succesfully. This example is for the 64 bits version, but it is the same procedure for the 32 bits version. For more info check this link. The following downloads are the version updates in case you are not able to use the LiveUpdate feature. Unpack the tkwexe.zip in your TaekoPlan folder (overwrite existing files). Always unpack in syswow64 if this folder exists, otherwise use system32! Below some tournaments which you can import with the Zip Utility. You can use them as test events, to learn TaekoPlan. Then the tournament only has competitors and you can start from scratch. Do NOT unpack the Zip file outside TaekoPlan as you will not be able to use it! An excellent event to learn how Poomsae is setup and working. Combined with the Poomsae Scoreboard 5.1.5. One of the many G1 tournaments in Europe from 2017. Get used to the specifics of a Gx event. A good even to test TaekoPlan functionality. Over 1100 competitors over two days.